The National Firearms Act (“NFA”) and California law governs the purchase, sale, use and ownership of certain weapons such as automatic weapons, machine guns, saw-off shotguns, and destructive weapons (mortars, grenade launchers and howitzers). There is also a very broad category of military and other weapons that fall into the category of Any Other Weapons (“AOW”). These types of weapons are commonly referred to as Title II weapons. The NFA imposes a tax on the transfer of all NFA weapons. The transfer also requires the signature of a Chief Law Enforcement Officer (“CLEO”), which in many circumstances is impossible to obtain. It has historically been difficult to get the signatures of the sheriffs of Riverside and San Bernardino Counties. The transfer tax as well as the CLEO signature requirement can be avoided when a Title II weapon is owned and controlled by the trustee of a properly drafted California Gun Trust. A properly drafted California Gun Trust also makes the ownership, use and transfer of NFA weapons during the life and upon the death of the current lawful owner of a Title II weapon. Although Gun Trusts, also known as NFA Trusts, are primarily used to facilitate the possession, ownership and transfer of NFA weapons, it also makes the transfer, ownership and possession of other guns easier. Unlawful actual or constructive possession of a NFA firearm comes with a criminal penalty strictly enforced by a no tolerance policy. The NFA authorizes a fine of up to $250,000, up to ten years in prison years and the forfeiture of any vessel, vehicle or aircraft used to convey or conceal the firearm. The trend in gun regulation is obviously to restrict and ownership in ways that ultimately will eliminate the civil ownership of Title II weapons. Always consult federal, state and local laws when determining your options regarding firearms possession and ownership. Remember that compliance with federal law is not a defense to violating local and state law regarding gun sale, purchase, transfer and possession. 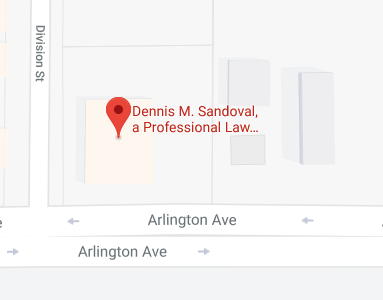 Riverside estate planning and tax attorney, Dennis Sandoval, is one of very few lawyers in Riverside County and San Bernardino County who is experienced in the proper drafting and administration of a California Gun Trust or NFA Trust. A NFA Trust or Gun Trust designed and drafted by Mr. Sandoval includes specific provisions relating to the rights, duties and liabilities of the trustor, trustee, successor trustees and beneficiaries relating to the ownership, transfer and possession of NFA weapons.